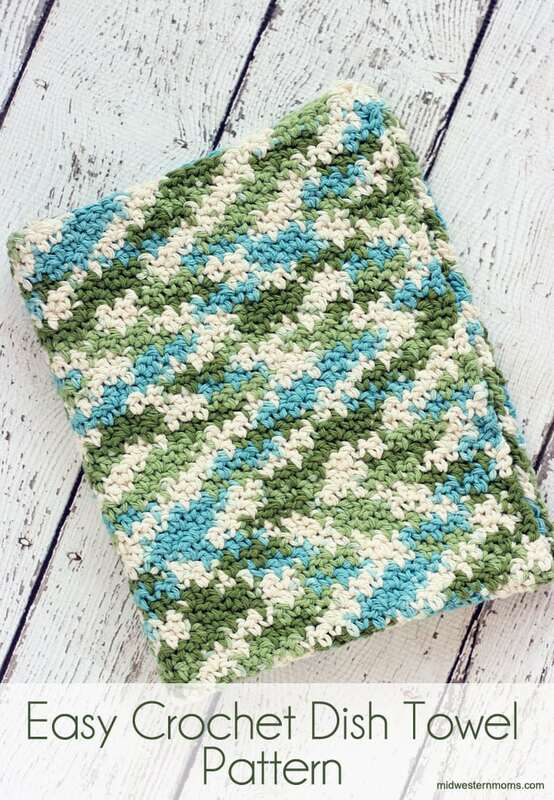 An easy crochet dish towel pattern to match the easy crochet dishcloth. This crochet dish towel pattern consists of alternating a single crochet stitch and a double crochet stitch. This dish towel measures 16 inches wide and 20 inches long. I would have liked a longer towel but I ran out of yarn on my cone. So, if you want a long towel, simply add on a few more rows. Keep in mind with this crochet pattern: at the end of each row you will end with a double crochet. You will start every row with a single crochet. Row 1: Chain 57. Single crochet into the second chain from the hook. Double crochet into the next chain. Continue alternating single crochet and double crochet until you reach the end. The last stitch should be a double crochet. Row 2: Turn your work and chain 1. Single crochet then double crochet across until you reach the end. Your last stitch will be a double crochet. Row 3 to 63: Repeat row 2 to until you get row 63. Once you reach row 63, cut your yarn and weave in your ends. 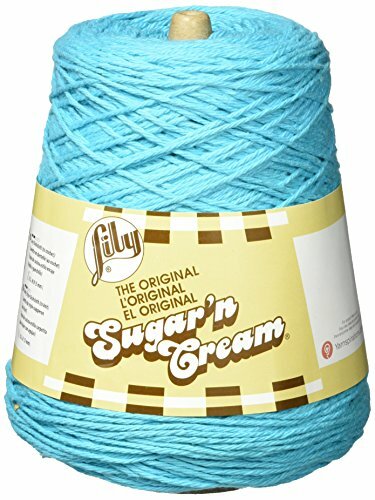 I love this pattern and made a dishtowel and it was way to wide and I used the Cotton Yarn on the Cone also and same size hook and same number of stitches so I don’t know why mine was so wide – going to just use it for a doll Blanket. But Loved the Stitch of it. 63 or 23 rows? Both numbers are mentioned above. I did about 23 rows and it’s the right width. Unless 63 rows is taking into consideration that the towel will be folded over lengthwise? It is 63 rows. Sorry for the typo. I will get that changed.